Being on time is something more and more people take for granted these days, which is why it is always important to get your kids started off on the right footing. The Time Tracker is one interesting device that helps a child learn about time management without being chided by an adult. 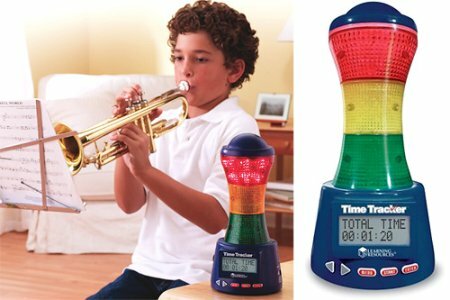 It features three seconds that can be programmed to light up after specific time intervals, with half a dozen sound effects to choose from when it comes to indicating just when is time running out. At least it makes lives easier for parents as kids who have not yet learnt numbers can’t defend themselves, claiming that they lost track of time for the umpteenth…er, time. Fancy dropping $38.95 on this?